Meet Brenden. He is hardworking and strives to grow in his position every day. Brenden graduated from Goodwill’s Quest Academy, a six-week career exploration program for young adults. Students learn workplace skills and explore career possibilities through classroom training and internships with local businesses. 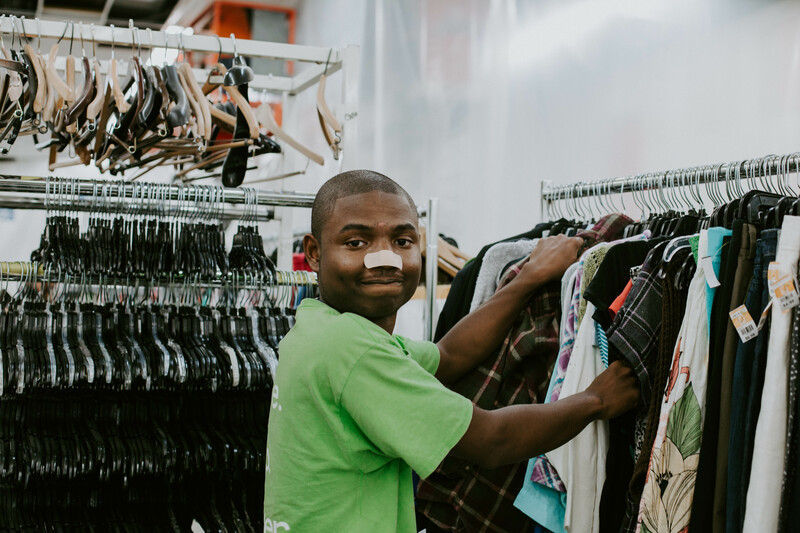 After Quest, he earned a position with Goodwill’s Retail Support Team, organizing donated clothing, which he has loved doing. Most people who turn to Goodwill’s programs and services earn employment outside Goodwill, but Brenden’s skills and needs were a great fit for Goodwill’s Extended Employment program. Brenden has thrived on the Retail Support Team. When he first started, he struggled to reach his work goals, but now he has surpassed his daily goals! One of the ways he has done so is through friendly competition to see who can do the most work. It’s a clever way for Brenden to not only get work done, but to enjoy working with his co-workers.